Using the Find Your Advisors search below, search for your degree program and view the Advisor(s) assigned to your major. 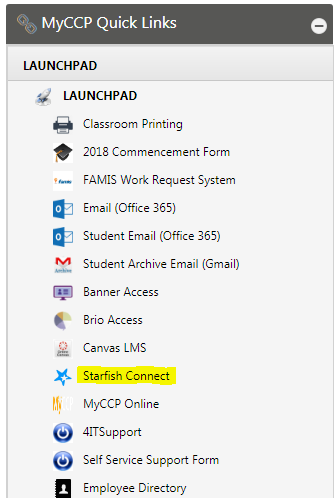 Log into your MyCCP account and click the Starfish Connect link located in the Launchpad on the left side of the screen. 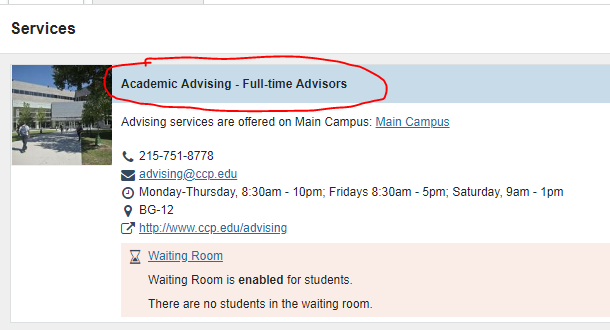 Click on Services at the top of the screen, then click on the Academic Advising – Full-time Advisors link (the first link on the page). 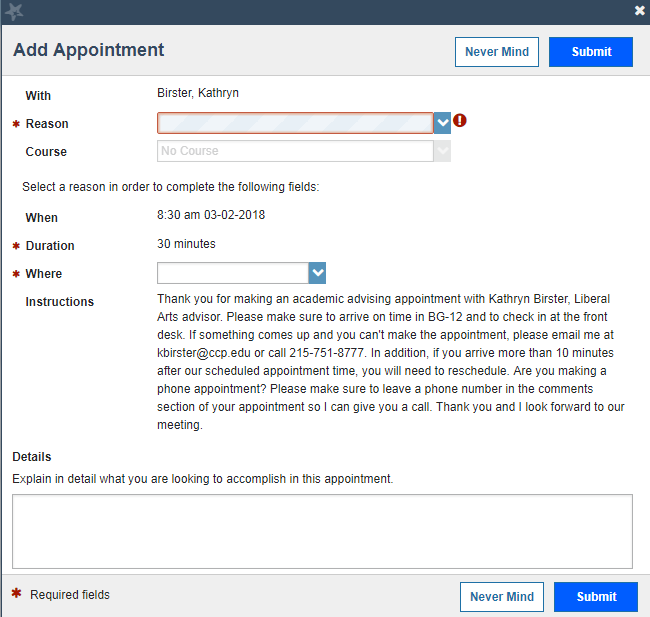 Scroll through the list of full-time advisors until you find the one you are looking for, then click on the Schedule Appointment link toward the right of the page. Search for a day and time that will work for you. 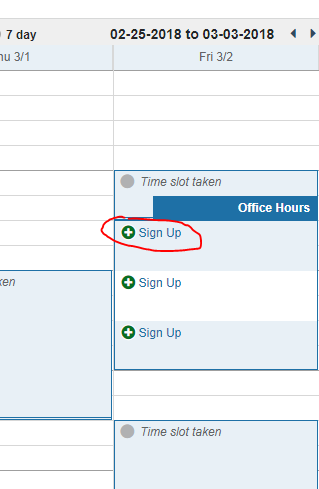 Click on the green circle with a + symbol to sign up for the appointment time. Enter the Reason for your appointment, the location of the appointment (Main Campus, phone, etc. ), and explain a few details as to what you would like to discuss during the appointment. Then, click Submit.